Thinking about changing something big in your life this year? Why not make the move to change your home? Buying your first home or buying a new home could be just the change you need for 2018. ..and we just put three new houses on the market! Check out each one below and see which one would be right for you! 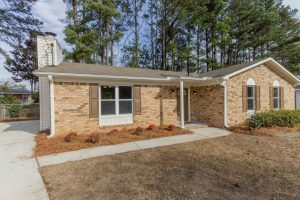 3 Bedroom Home in Grovetown! This home at 1322 Wendell Lane would be perfect for someone looking to live close to shopping, restaurants and more! The backyard is adjacent to the walking trail and park area! The kitchen in this home has been upgraded throughout! Check out the granite countertops and gas stove! If you’re interested, you can check out more information here or contact us and someone will reach back out to you! 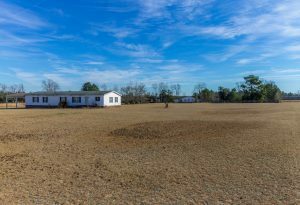 4.55 Acres in Aiken for 130K! Are you looking for a GREAT deal? Then this home at 1112 Hatchaway Bridge Road in Aiken is the home for you! Sitting on 4.55 acres, this home has all the land and storage you could think of! Each bedroom features large closets and baths. There’s a detached workshop in the backyard. There is also a study next to the master bedroom! Plenty of space for someone looking for quiet, country living. If you’d like more information, click here. Have you been thinking about moving to Martinez? Then this home would be great! At 3973 Fairfax Street, it’s about 5 minutes from almost anything! It’s also move-in ready. You’ve GOT to see the updates in the kitchen and the stone fireplace. Hardwood floors throughout main living areas and a fenced yard so dog lovers take note! If you’d like more information, click here. Don’t see anything you love? Don’t worry! There are plenty of homes on the market and we would love to help you find your next one! 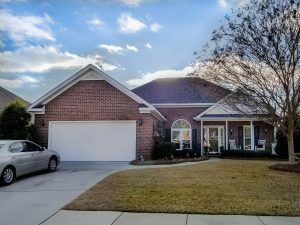 Check out homes in Augusta, Martinez, Evans, Grovetown and North Augusta!